The Horizon CT5.2 combines a powerful motor, durable frame and added features, including MP3-compatible speakers, 9 workout programs and a COOLfit Fitness Fan, to help you enjoy the ride as you achieve your fitness goals faster. Horizon Treadmill CT5.2 comes with Warranty-Frame: Lifetime , Motor: Lifetime ,Parts: 1 year ,Labor: 1 year. 2.25 hp Motor-Powerful, continuous-duty motor is quiet at any speed, from 0.5-10 mph. Quiet Motor-No distractions. We build powerful motors that run so quietly that you can listen to a TV or radio at normal listening levels – even when you’re at full sprint. Hydraulic Lift Assist-Safe, convenient storage. A hydraulic shock helps make folding and unfolding the treadmill easier and safer. Durable Frame-Heavy-duty, all-steel frame withstands even the most intense workout sessions. Sonic Surround Speakers-Enjoy your workout even more with the MP3-compatible Sonic Surround speaker system. Variable Cushining-In tune with you. Careful study of biomechanics helps us create sophisticated cushioning systems that provide the right balance of firmness and shock absorption. ToughTrain 4.0 out of 5 Value for your money, have many useful latest features for motivating you for a longer workout. *Note: Most of the sites, stores or shopping portals listed above sell Horizon Fitness CT5.2 Treadmill with discounts and other exciting offers. There is a possibility that the some of above websites are not selling Horizon Fitness CT5.2 Treadmill now. Toughtrain.com is not liable for such cases or instances. Also we do not recommend any seller for Horizon Fitness CT5.2 Treadmill and a buyer should buy from where he/she gets best deal with quality of products, service and on time delivery (shipment). I am getting an E1 error on the screen and then the machine is shutting down, how can I fix this situation since it is not in the manual. @Ed just the customer support executive they will surely help you out….. if not just contact your near by service center. Donot go for any local technician…. or you may lose the warranty. 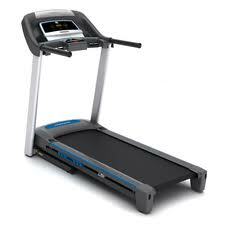 Its an average treadmill. For the first 1 year faced no issues but from last week, the belt was slipping like any thing. Got the belt changed from a technician. Hope now its works fine. Keep up the good work Nordictrack fitness, very impressed with its performance. 8 out of 10 for its reliability. My treadmill shows me E1 on the controll what do I have do tue to fix this problem ?